*RESOLVED* MCCC Birth notifications - include father? I've recently added this mod to my game and I love the notifications when a baby is born in the neighborhood. I set it so that I get the option to name it, but I have a few things I haven't seen settings to change -- can I choose which parent's last name it auto-generates, and can I see who the father is? I realized 3 babies were born to a spare from my legacy and I didn't even know it! Setting this to 'Included Played Households' will display the baby naming dialog for any babies born to a played Sim in addition to the active household. 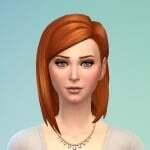 Setting it to 'Related to Active Household' will show the baby naming dialog for any babies born to Sims related to an active Sim or if the baby itself is the offspring of an NPC and an active Sim. Setting it to 'All' will display the baby-naming dialog for any Sim delivery a baby in the world. 'Include Active Sims Only' is the default and the way naming of offspring works in the default game. There must not be a setting for what I was looking for. Thanks anyways @rosemow! I don't usually play with families so it might not be possible, but could you look at the family tree of the mother to see who the father is of her babies? @ClassicalSim yeah, i'm just being picky about it, lol. 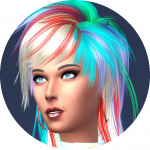 I tend to follow themes for babies in the legacy family (and want them to have the legacy last name as well, for easy identification), the others are whatever. 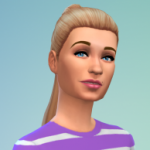 So if I mess up a name, I have to wait until the baby ages up to a toddler, then switch households and edit their name in CAS. Not a big deal, just kinda annoying. I remember having a similar mod in TS3, and it would tell you who both parents are when it popped up to select a name... i liked that, lol. You can enable notifications to show you who gets pregnant by whom - have you got that set up? Then you can keep track of the baby daddies. Ahhh really? Where is that setting I couldn't find it! @loubyloulou and @Bonxie you both rock! thank you so much! !